Though the sun shone down on Lincoln Center, it didn't go far towards warming the 21 degree day. 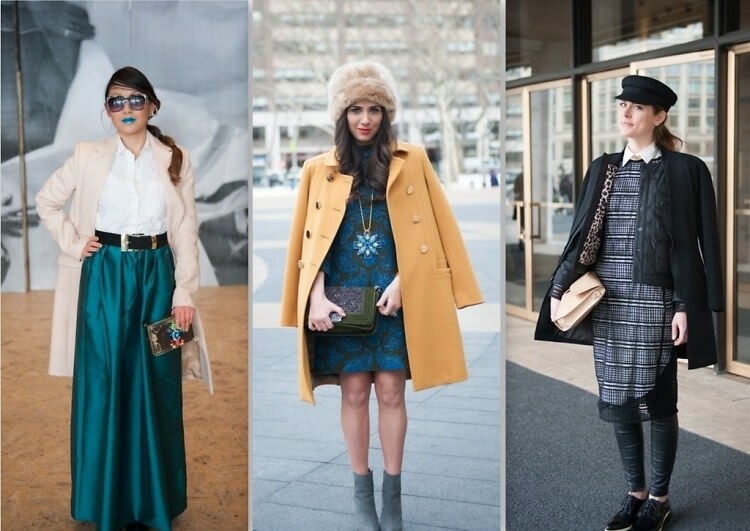 Fashion week attendees rushed in and out of the tents in a hurry to escape the cold, but not without pausing gamely for a few street style photos first. Boisterous bloggers flaunted daring fashions, and Lynn Yeager raced by in her signature face paint as several cameras snapped her picture. In fact, we turned the lens on a few of the most well dressed photographers themselves. It seems they too deserve a moment of appreciation for looking good on the job, especially under such arctic conditions!